One of the most anticipated sports games of the year finally has its official release date set. Super Mega Baseball 2 will arrive May 1st for Xbox One, PlayStation 4, and PC (Steam) at a price of $30. Optional DLC with cosmetic customization content will also be made available on that date. 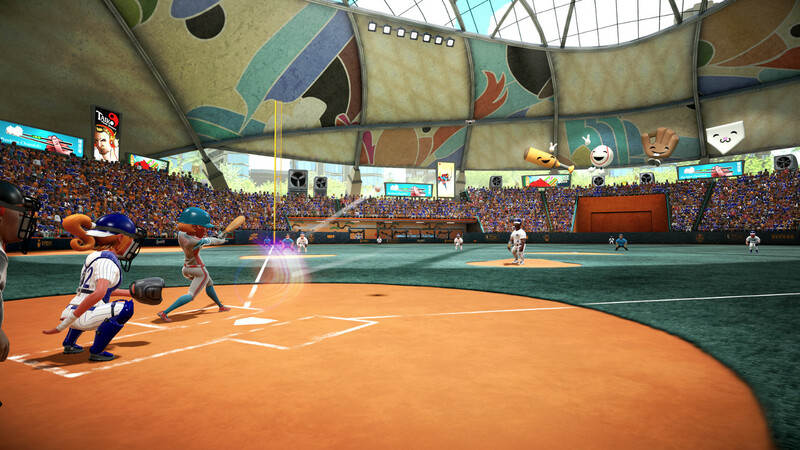 The first Super Mega Baseball came out in late 2014 to rave reviews and even earned some Sports Game of the Year honors. The sequel was originally announced to release last September where it would have been snuffed out by all the massive licensed sports games hitting around the same time and thankfully was pushed back to this spring instead. The extra time allowed for development on additional features and the ability to run a closed beta which has been ongoing since last month on Xbox One. New features for Super Mega Baseball 2 include overhauled presentation, more realistically scaled player models, more athletic player animations, comprehensive customization options (leagues, logos, uniforms, gear), and enhancements for Xbox One X and PS4 Pro. The addition of online brings the ability to play with up to three friends cooperatively or competitively and cross-platform play between XB1/PC and PS4/PC.